In an important recent decision, U.S. v. Blewett, the Sixth Circuit Court of Appeals found that the Fair Sentencing Act should apply retroactively. The Court decided that to continue to uphold the prior racially discriminatory laws would violate the Equal Protection Clause. In making its decision, the Court reversed lower court decisions regarding two defendants who were charged with crack cocaine possession: Cornelius Blewett and his cousin, Jarreous Blewett. The Fair Sentencing Act at issue was implemented in 2010 and designed to create fairness in federal cocaine sentencing which notoriously handed down far harsher sentences to those convicted of possessing crack cocaine than to those found to possess powder cocaine. 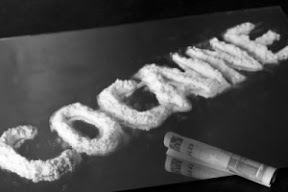 The sentencing laws were viewed as racially biased, given that crack cocaine users were more likely to be black while powder cocaine users were typically white. The Act helped lower the disparity in sentences from 100:1 to 18:1. For many inmates who were imprisoned before the Act was passed, their sentences remained the same. The Blewett cousins were sentenced back in 2005, years before the Fair Sentencing Act was a reality. They both faced a mandatory minimum sentence of ten years based on the amount of crack cocaine they were found to possess. However, if they were arrested today with the same amount of drugs their sentence would not even be subject to the mandatory five-year minimum contained in the Act, highlighting just how much of a change the new law has led to. The Sixth Circuit ultimately tossed out the ruling of the lower courts with regard to the Blewetts and remanded the cases back to the lower courts to resentence while applying the new Fair Sentencing Act. The opinion from the Sixth Circuit will likely lead to many inmates seeking a resentencing in accordance with the Fair Sentencing Act.